This project involved the alteration and addition to an existing Victorian terrace. The brief was to bring in contemporary features whilst maintaining it's history and heritage. 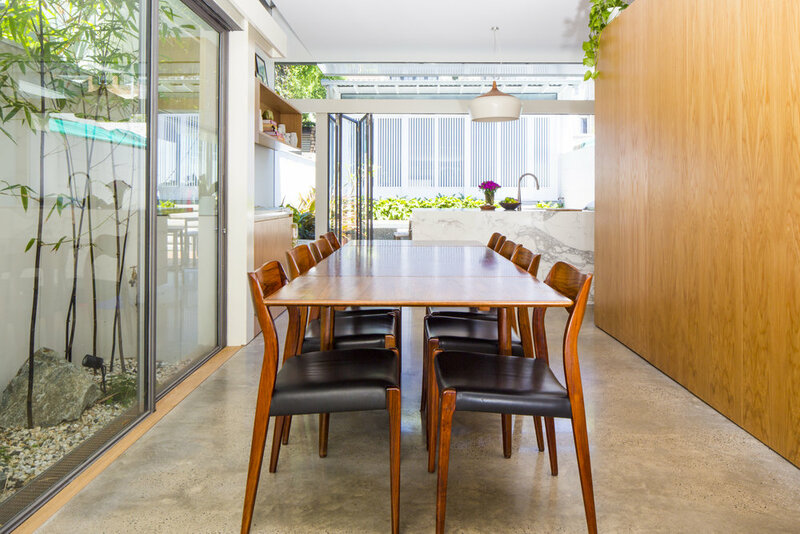 From the facade it looks like a typical Paddington terrace, but opens up to a modern light filled dwelling with great indoor-outdoor areas for entertaining. Other additions include a plunge pool with sliding cover, slate roof, polished concrete floors and high end joinery.